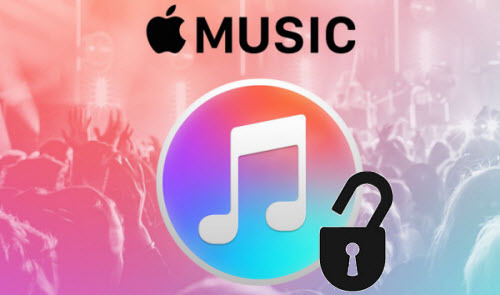 2019 Top 3 Apple Music Converter Review - Which One to Choose? There will always come the time when you want to convert Apple Music songs to MP3 for enjoying. The reasons are various. Maybe you want to enjoy the songs even after unsubscription, maybe you want to play the music on devices that do not support Apple Music songs, or maybe you just hate DRM and want to get rid of the disgusting DRM. Whatever the reasons, you need a converter to help you convert Apple Music songs to MP3 audios. Here the article will introduce three Apple Music Converters and analyze their merits and shortcomings to help you choose the best one. 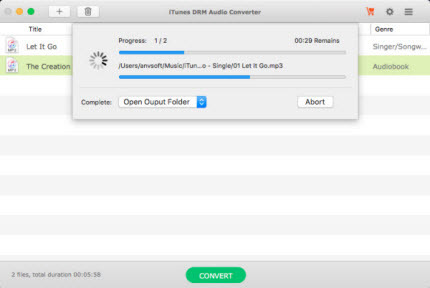 iTunes DRM Audio Converter for Mac (Or iTunes DRM Audio Converter for Windows) is a professional and simple app that allows you to convert any of the songs in your iTunes library, like Apple Music songs, audiobooks and M4P music, to MP3, WAV, FLAC or AAC and save them on local storage. It can serve as Apple Music Converter, Audiobook Converter and M4P Converter. Unlike other Audio Converters, it record songs in the background, thus it can convert Apple Music songs, audiobooks and M4P music at 20X faster speed. You can easily convert a 4-minute song to plain MP3 within 20 second. Besides, iTunes DRM Audio Converter balances the quality with speed, which means that you can convert music with lossless quality kept. What's more, you can convert any songs to plain MP3/AAC/FLAC with all ID tags and metadata kept. Available in Mac & Windows version. The computer must be authorized in iTunes to play the DRM-ed audio files. iSkysoft Audio Recorder enables Mac users and Windows users to record unlimited free music from YouTube, Pandora, Grooveshark, Napster, Rhapsody, Spotify, iTunes Radio and more in just one click. Also, you can record audio from playing video files. Unlike NoteBurner iTunes DRM Audio Converter which record music in the background. 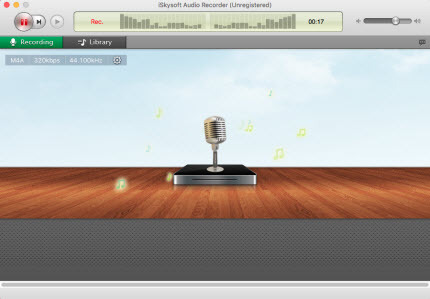 iSkysoft Audio Recorder just record the playing music, which takes more time to record. It can continuously record playing music and also split tracks in case you would like the music files to be separated automatically. While recording, the iSkysoft Audio Recorder can automatically filter out ads in the track and identify the recorded music files to get music information like Title, Artist, Album and Genre. After recording, you can add the recorded music to your iTunes library by clicking the "Add to iTunes" button. Sometimes cannot recognize music information like Title, Artist, Album and Genre. Freemake Audio Converter is a freeware used to convert audio files to other popular formats on Windows PC. It supports converting a wide range of audio formats, like MP3, AAC, M4A, WMA, OGG, FLAC, WAV, AMR, AIFF, MP2, APE, DTS, M4R, AC3, VOC, etc. Unlike iTunes DRM Audio Converter, it has some problem in converting M4P music. Also, there are many choices for users to set output formats. Besides converting audio files, the Freemake Audio Converter can extract audios from video files. This software converts both audio files and videos at fast speed for playing on your iPhone, iPad, Zune, Samsung Galaxy, Nokia Lumia, HTC Desire, SanDisk Sansa, Walkman, etc. But, freewares always come with limitation, there is only Windows version available to convert audio files and you cannot convert Apple Music files and other M4P music. Support extracting audios from video files. Cannot automatically list all music files, need to find the music you want to convert manually. Your choice is up to what you need to convert. If you need to convert Apple Music songs, NoteBurner iTunes DRM Audio Converter is the best choice, which is professional to convert Apple Music files. You can convert Apple Music files at 20X faster speed with lossless quality kept with iTunes DRM Audio Converter. If you want to convert Apple Music, Spotify and other music, you can choose iSkysoft Audio Recorder. But it will take long time to record your whole music. If you just want to change the formats of regular music to other audio formats, you can choose the freeware Freemake Audio Converter. But remember that you cannot convert Apple Music files with Freemake Audio Converter.